Orenburg , Russia — 24 October 2014. 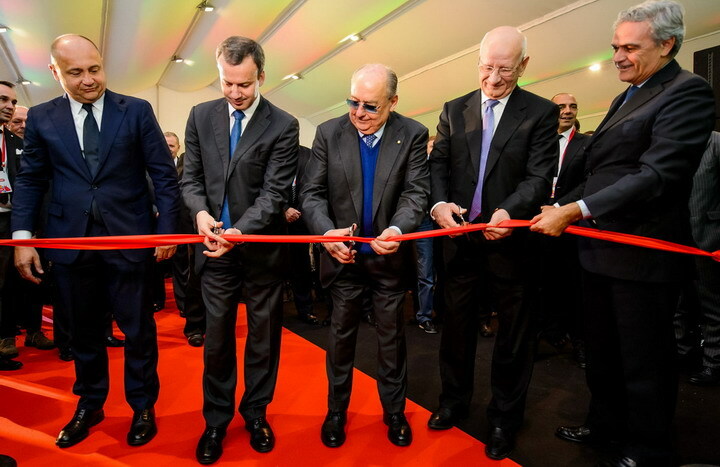 The Cremonini Group, through its subsidiary Inalca Eurasia Holdings, of which Cascade International Holding — Knightsbridge Group is a shareholder, inaugurated today the first beef slaughtering plant of the Russian Federation in Orenburg, the South Urals, in the presence of the Russian Deputy Prime Minister, Arkady Dvorkovich, and the Regional Governor of Orenburg. The new plant has a slaughtering capacity of 130,000 head per year and is the result of Cremonini’s thirty-year presence in Russia: a journey that started with the initial activity of distribution, and has led to the completion of the meat production chain, in coherence with the objectives of the Russian Government to increase the production levels of domestic self-sufficiency. The plant, a pilot project which is replicable in other Russian regions, will have a crucial role in valorising and promoting the production of beef in Orenburg, a southern Russian city near the Kazakhstan border, and the surrounding regions suited to livestock, guaranteeing the acquisition of prime stock with long-term contracts with local breeders. The meat produced will be valorised and commercialised through the Russian distribution channels (retail and catering), and allocated to the factory built by Cremonini in Moscow in 2010, the largest hamburger production plant of all the Russian Federation. Equipped with the most advanced technologies, the new plant that has been realized by Tecnostar Due (subsidiary controlled by Inalca) encompasses an area of ​​40,000 square meters, developed over a total covered space of 11,000 square meters, will employ approximately 150 people and has required an investment of approximately 40 million Euro (51 million US dollars). In the next few months two new feedlots will be initiated in Orenburg and the neighbouring region of Tatarstan, to enhance at best cattle breeding, both dairy and specialised beef stock. The Group in 2013 had revenues in Russia for more than 250 million Euro, with an EBITDA of around 25 million Euro (+25% compared to 2012). Luigi Cremonini, founder and Chairman of the Cremonini Group, said that «given the wide availability of cereals in some areas of Russia, it will always be more convenient for this country to transform these cereals into animal protein, with the creation of an integrated beef production chain, whose fulfilment requires specialised and efficient farms and a modern slaughtering and processing industry. The supply of live cattle to our new slaughterhouse will be guaranteed by long-term agreements with the Russian breeders, based on a transparent system for the fixing of prices, similar to that adopted in Italy, and finalised towards ensuring the highest possible added value to the breeder, avoiding speculative brokerage between the latter and the slaughterhouse. Today — concluded Luigi Cremonini – “we are protagonists in Russia both in production and in distribution: on the one hand, laying the foundations for the completion of the production chain in the beef sector, by means of the new plant inaugurated today; and on the other, through the use of our distribution platforms in Moscow, St. Petersburg, Rostov, Novosibirsk and Samara, we will be evermore able to distribute and valorise the excellences of Italian foods and products, constantly increasing, in the Russian food industry”. Today, Russia is one of the principle importers of meat in the world. However, one of the strategic objectives set by the Russian government is that of reviving the domestic production of beef to meet the steady increase in consumption per capita and increase their level of self-sufficiency, aiming towards reaching 85% in the next ten years. To achieve this objective, the government has begun a plan to develop the national livestock sector. In this context, the Cremonini Group represents an ideal partner for Russia, given the high level of specialisation, technology and know-how of its resources in all the stages of breeding, slaughtering and beef processing, in full respect of environmental sustainability. In fact, Russia has one-tenth of planet’s cultivated land with a enormous production capacity of raw materials for animal feed, but requires knowledge, technology and investments in the livestock sector, and change, to valorise the local production.